Tufts’ School of Engineering is an objectively male-dominated space. According to data from the Office of Undergraduate Admissions website, while 54 percent of undergraduate students at the School of Arts and Sciences identified as female in 2015, that number falls to just 42 percent for engineering students. There is one program, however, in which the engineering school’s gender imbalance is flipped: more often than not, the majority of students in Tufts’ environmental engineering program are female-identifying. The environmental engineering degree is offered through the Department of Civil and Environmental Engineering, which also offers undergraduate degrees in Civil Engineering, Architectural Studies and Environmental Health. According to the department’s website, the Bachelor of Science in Environmental Engineering program teaches students skills such as risk assessment, pollution prevention and design and operation of different engineered projects. Senior Marisa Zellmer is currently studying environmental engineering, having declared the major as a first-year. She said that when coming to Tufts, she was told that the school had a larger percentage of female engineering students than most other engineering schools, despite the disproportionate representation of men. “However they’ve done it, they’ve been really good about getting women in engineering,” she said. Zellmer said that after taking a number of foundational engineering classes, she began to take more specified environmental engineering courses and noticed the divide in gender. 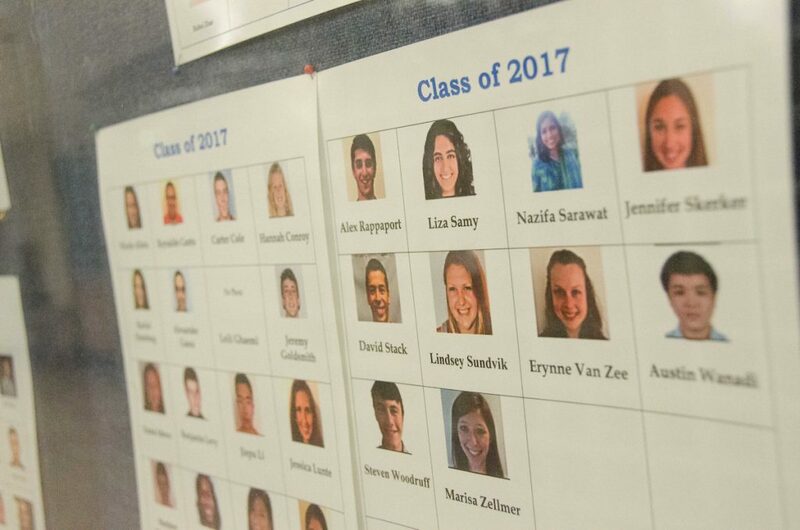 Within the Class of 2017, she said, there are eight women in the major and four men. Senior Jenny Skerker was interested in doing something related to the environment during high school, and decided to declare environmental engineering upon learning more about it after arriving at Tufts. Skerker said that she’s noticed the higher female ratio in some of her classes. She thinks a reason that the program attracts more women could be that the humanitarian applications of the discipline are more clear. “One thought on why there are more women in environmental engineering is [that the program is] more straightforward in the applications [that] can help people,” she said. Murvi Babalola, a fifth-year senior, studied environmental engineering and is spending an extra semester to study environmental health engineering and public health. He is also an environmental studies major, which he noted is a predominantly female field as well. He said that he was the only male environmental engineering major in the Class of 2016. Professor John Durant has taught a number of classes as a faculty member of the Civil and Environmental Engineering Department since he started working at Tufts in 1995. He explained that the major has become more popular after being accredited by the Accreditation Board for Engineering and Technology (ABET) in 1998. But Durant said that attracting students to the environmental engineering major can still be challenging. Durant also noted that some of the students’ interest in the major comes from its connection to other fields, such as public health, which he believes could contribute to the larger number of women in the field. Despite Durant’s point that there are more women in the environmental engineering field than in other engineering fields, Zellmer and Skerker both noted that nearly all of their engineering professors at Tufts have been male. Alex Rappaport, a senior majoring in environmental engineering, said that his program is one of the less popular degrees within the engineering school in general. Initially, he was not even aware of the program and planned to major in chemical engineering. He noted that as environmental sustainability is becoming a larger concern for people and businesses, the relevance and value of environmental engineering skills are growing. He also said that other engineering disciplines, especially older ones, can come with an image or connotation of exclusivity. He also emphasized the association of environmental protection with more feminine values, even if this association is untrue. Babalola said that the gender gap in environmental issues spans beyond just the environmental engineering major. He has observed a similar trend in environmental on-campus student organizations. “I worked with the Eco-Reps [Eco-Representatives] program for a number of years as well, and even then, I think we had to make a deliberate effort to hire male students, because it wouldn’t have been very difficult to end up with a pool of just female Eco-Reps,” he said. Rappaport, who also has a background in entrepreneurship, noted that the gender demographics of the major may change over time as men who are interested in corporate and startup work require more skills in environmental sustainability. Rappaport said he has heard the field of environmental engineering characterized as a “softer” discipline compared to more technologically-oriented fields such as mechanical engineering and computer science engineering. He noted that this terminology implies a clear gender bias, yet he believes environmental engineering seems to be a more welcoming field for women. Zellmer expressed optimism that interest in environmental engineering across genders will continue to grow at Tufts.